An early claymore, made famous in the film "Braveheart", wherein in 1297 William Wallace and his band of lowland Scots routed an English force of 50,000 at Stirling Castle. 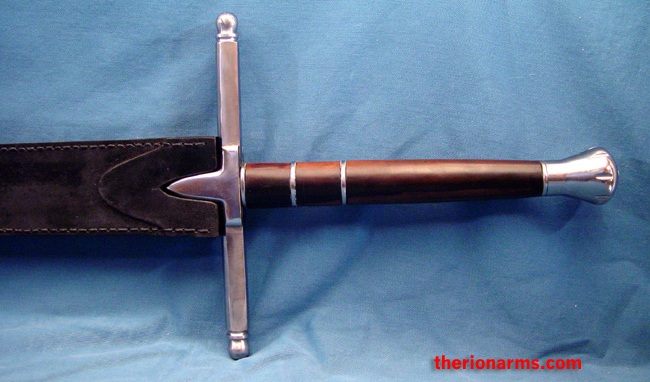 Iconic in the film, this sword is not a historical copy of the sword Wallace would have used, but it's immediately recognizable. 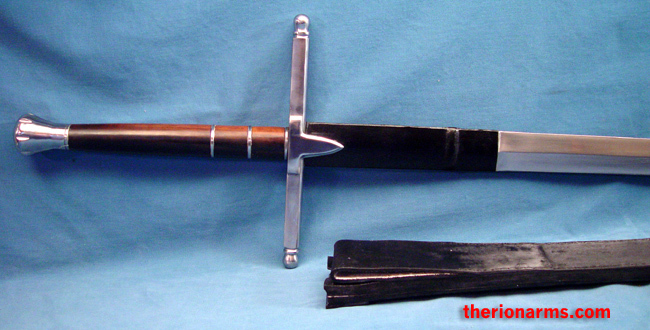 This style greatsword with a straight steel cross quard is a predecessor to the later claymore with the downsloping guard (which was developed in the late 15th century.) 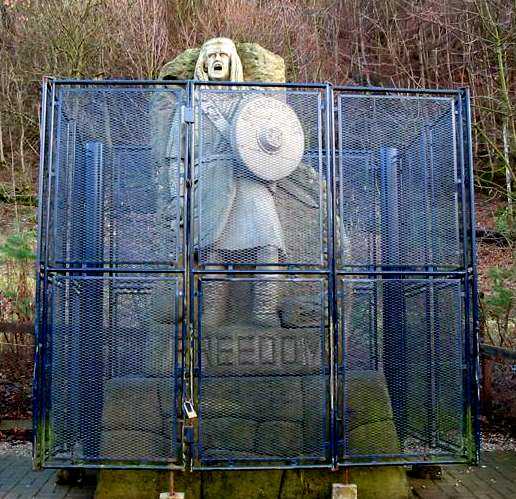 The legend of William Wallace (more the myth than the man, however), will continue to live on with this sword - it's extremely heavy, and would have made an excellent backup weapon to the lightning bolts Wallace shot from his arse. 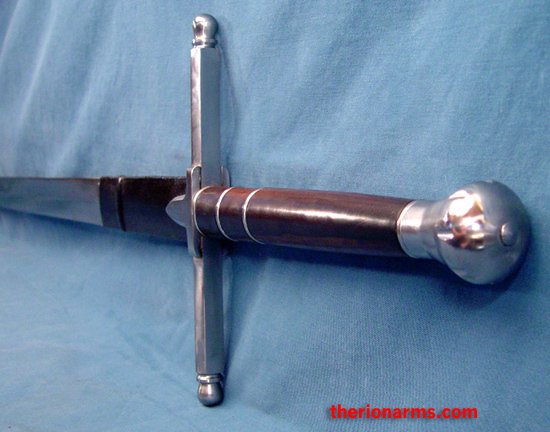 Comes with a full length top grain leather sheath (anhistorical, good for safe carry but not recommended for storage, as I've seen these particular scabbards promote rust on the blade). 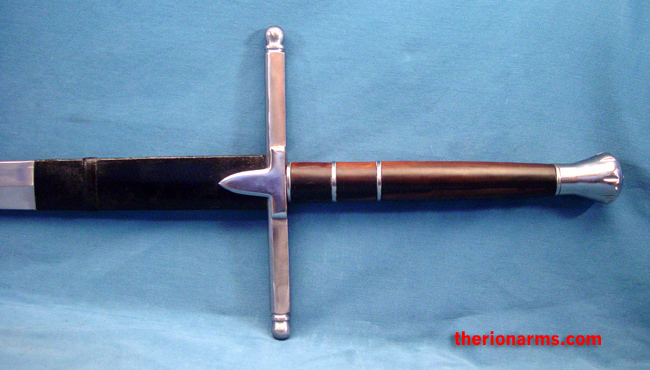 The blade on this sword is extremely sharp and tough, the cross guard and pommel are heavy solid steel, the grip is Macassar ebony. Made by Legacy Arms/Generation2.